Surprisingly, I thought this was pretty good. I finally got around to seeing the DVD, which was released in 2011 (you can buy it here). I can’t even remember a cinema release. But I know it won the best direction prize at Cannes in 2010 for Mathieu Amalric, better known as an actor (best known for the paralysed protagonist in Schnabel’s The Diving Bell and the Butterfly) and at the time I thought he’s probably winning the award through his acting connections (he also stars in Tournée). But it’s actually a stylish piece of direction, quite deserving. He’s made several features over the years, I’ve since learned, so he’s been quietly honing his craft while also starring in countless French features. I think I first noticed him in Olivier Assayas’ Fin août, début septembre from 1998. I’m a fan of Assayas as well. 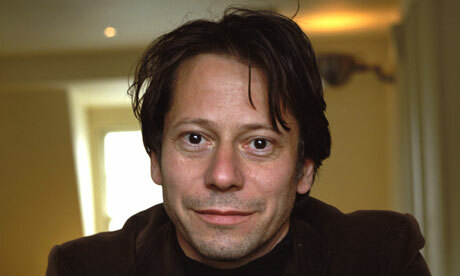 But Amalric’s a big star these days, in English and French language movies. If anything this may make it harder for him to be taken seriously as a director. As a star, I have to say he’s not my favourite leading Frenchman, not that I really have one, well not of that generation. 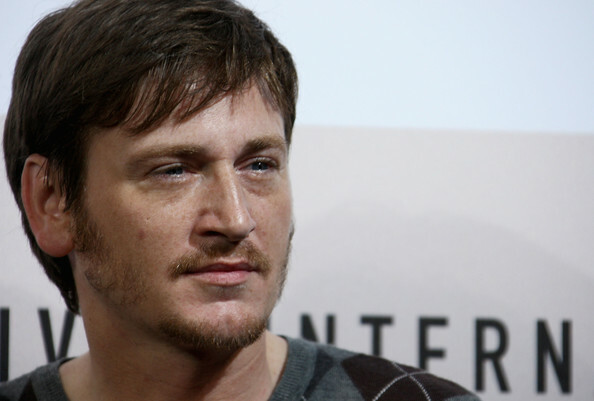 Something about those round little beady eyes… Well okay if I had replace him with an actor of the same generation, I’d lean toward someone like Benoît Magimel, more your trad sultry pouter I suppose, somewhat in the Alain Delon mould. Anyway, getting back to Tournée, the story is about an entrepreneur, Joachim Zand (Amalric), bringing a troupe of American burlesque performers to France to shake up the local scene with their outrageous antics and redeem the reputation of Zand, a former television producer, presumably as provocateur. But it doesn’t quite work out. Joachim can’t secure the venues he needs through favours from former colleagues and family, can’t finance them otherwise. The tour peters out somewhere along the Atlantic coast, having taken in Le Havre, Nantes and Rochefort. No one seems too disappointed or surprised though. In the end they gather their things wearily and plot their next move. “It’s what we do” remarks the troupe’s sole male stripper, philosophically. And it’s this rather gentle and genial conclusion that leads critics to dismiss the movie as slight, essentially a study in American burlesque performers on tour in France. But the real action has been with Zand all along. It’s the troupe’s final acceptance of him in their predicament – implicit inclusion in the “we” – that signals some insight or point. The whole movie we have seen Zand hustling to recover lost connections and standing in Paris, through former colleagues, his brother still working in television, his estranged young sons, ex-wife hospitalised with cancer. But he only antagonises them, further alienates himself. In the end he has to admit to the troupe that the tour can’t go on and rather than some furious recrimination he has every right to expect, he is treated sympathetically, as one of them. This is as ‘home’ as he will ever get, even if they then go their separate ways. Like them, his life is in tour mode, hustling, adjusting, shooting from the hip and moving on. The point is also spelt out in staging and style. Most of the dialogue is improvised while the characters wander in and out of elegant framings or tableaux, underlining the restless lifestyle, the inconsequential chatter and bonhomie. The mood is palpably Altman-like although the director prefers to see the influence of Cassavetes. The atmospheric cinematography by Christophe Beaucarne is an underrated asset, from the busy Parisian street at night as Joachim walks back to his car from the television studio, to the early morning and afternoon shadows draped across coastal venues and hotels, Tournée most assuredly has a look, a feel for locations not unlike Wenders. The plot does not encourage much pacing, but developments are mostly thematic rather than story-driven. Criticism of a lack of pace here is really an indifference to anything more than nugatory matters of plot. But the movie juggles rich and resonant themes, particularly for French cinema and a good deal of the directorial accomplishment lies in covering old ground in fresh ways. There is firstly the theme of sexual attraction and opportunity, illustrated by the burlesque performers obviously, but when intercut with Zand’s fraught dealings in Paris, suggesting something less decisive, less forthright about him. He too is a tease, but a much less convincing one. His evident fascination with their acts (we watch a number of them from his point of view backstage or the wings) then points to some underlying insecurity, that perhaps flaws all his dealings. He can never really declare himself in that way. As a person he ultimately lacks the goods, the record, the nerve. He is just not big enough. And when he encounters equally direct overtures from women in daily life he is stunned when not embarrassed. There is firstly the episode with the woman at the till of a service station on the freeway to Paris one evening, all but propositioning him, and later an older woman at a supermarket checkout tries to interest him in her breasts, inspired by attending the show. In real life such advances are simply inconvenient or unwelcome. They belong in art. Zand struggles to steer his life by such art, ultimately fails. The balance between art and life, style and nature runs through French cinema with particular vigour. From Renoir to Cocteau, Bresson to Melville, Truffaut to Godard, forms or genres are adapted, abandoned, butchered and transformed. Second guessing Hollywood has its advantages. Tournée comes with a lot of baggage, but it makes for a more interesting journey. Both in locations (Nantes especially) and theme Tournée recalls Demy’s Lola (1961) but with the roaming band of American sailors now a troupe of brazen women, the sweet allusions to Hollywood musicals replaced with grotesque parodies of striptease. Lola is a cabaret singer with the seven year old son, awaiting her partner, an American advernturer. Zand has two young sons by a former marriage, hoping to reconnect with them more, once the American burlesque show reaches Paris. Neither makes their connection. “Life is a cabaret, my friends…” But the romance between America and France lingers, each fantasising about the other, is echoed in countless films. The Atlantic really is romantic. Crucially, Zand has spent time in America, returns as a prodigal. He switches effortlessly between languages and sees himself as the consummate middleman while others dismiss him as simply a fringe player or outsider. Pointedly, his show gets no further than the coast. He has a problem with commitment, with translating what for whom. He fondly imagines some duty of care toward the troupe, tries to impose bedtimes on them, comically, but in truth they are mostly middle-aged, even maternal women, seasoned troupers who actually regard him with some indulgence. Toward the end of the movie there is a long exchange between Mimi Le Meaux, more or less their spokesperson, and Zand, that commences with frank assessments of their respective merits and ends in bed. At one point Zand peels off her enormous false eyelashes, as if to penetrate the mask, distinguish between art and life and get closer to the person. Later she reciprocates by attempting to peel off his moustache as he sleeps, but of course the moustache is not make-up; there is no separating Zand from his pretence, quite so easily. Had the movie ended on that note, it may have been somewhat tragic. As it is, they are soon joined by the rest of the dogged troupe in the final, failed venue by the sea. They end one tour, if only to start another. Zand must find a way to translate that.